The fun and frolics of High School Musical has been brought to the stage in Birmingham and featured the talents of one of our own. Nicholas, in Year 6, played Ripper, leader of the ‘Skater Dudes’, in the popular Disney musical. The Youth Onstage production was performed at the Old Rep Theatre earlier this month. Last summer, Nico, aged 11, sang a solo when the theatre company staged Les Miserables. He is a keen performer and enjoys all aspects of performing arts. 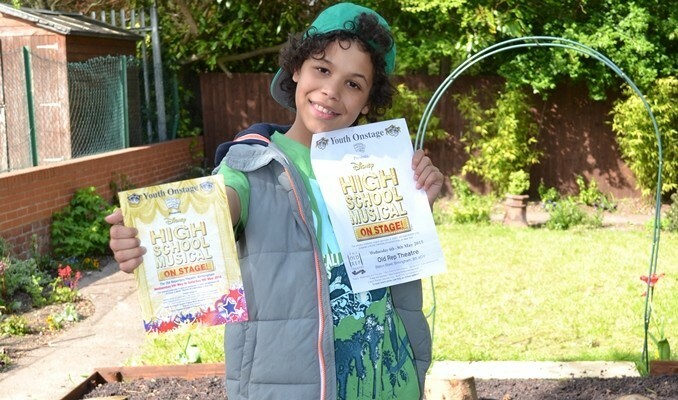 Nico will sing at our forthcoming vintage garden party, for Nursery and Key Stage 1 families.